Get ready for a thrilling season of college football action in the city of Eugene, Oregon as the mighty Oregon Ducks battle for the Pacific-12 Conference supremacy. Some of the top football programs from around the country will be travelling to the 'Emerald Valley' to earn a crucial victory against the home side. Over the years, the Autzen Stadium has become a fortress for the Ducks as the home side has defeated some of the toughest programs such as UCLA, Stanford and even local rivals Oregon State. Since the arrival of Head Coach Mark Helfrich in 2013, Oregon Ducks have not made many mistakes and continued to perform consistently. The Ducks finished the overall season 13-2 and a solid 8-1 in the Pac-12 play. The team from University of Oregon ended the season as champions of Pac-12's North Division and continued the winning momentum in the Pac-12 Football Championship Game where they thrashed Arizona Wildcats 51-13. The Ducks also competed in the first College Football Playoff, netting a berth for the 2015 Rose Bowl semifinal game to defeat Florida State Seminoles 59-20. Despite their defeat to Ohio State in the National Championship Game, fans have high hopes for the Ducks as they look to capture their thirteenth conference title. Be sure not to miss any of the exciting action as the Ducks look to wreak havoc the Pac-12 competition. Grab Oregon Ducks Eugene tickets right away. The average Oregon Ducks Eugene tickets at Eugene will cost you between $21 and $38, if you are looking for the cheapest seats then catch the event being held on 20/04/2019 for only $21. The average ticket will be at its highest of $38, on 27/04/2019. 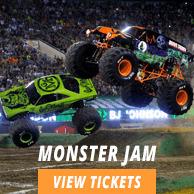 Minimum get in price is for Oregon Ducks Eugene tickets at Eugene is $9 for the event being held on 19/04/2019, there are certain dates that have a much higher get in price, for instance the cheapest seats on 23/04/2019, will set you back $21. I need some cheap tickets to oregon ducks baseball stadium.